A series of on-going political crises in 2013 saw support for Poland’s centrist ruling party, Civic Platform, slump. Despite a number of initiatives to revive its fortunes, public hostility may have passed a tipping point argues Aleks Szczerbiak. 2013 was a year of on-going political crisis for Civic Platform (PO) party, he main governing party in Poland,. The approval ratings of both the Civic Platform-led government and prime minister and PO leader Donald Tus, slumped to their lowest levels since they came to office in 2007. 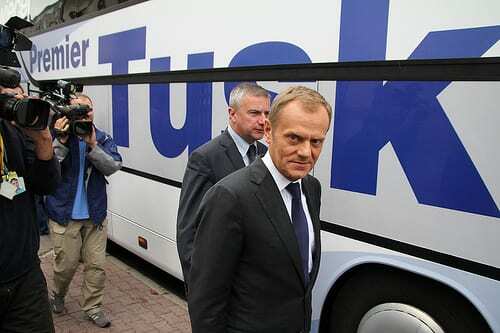 A December 2013 poll by CBOS found that the number who declared themselves to be government supporters and were satisfied with Tusk as prime minister fell to 21% and 26% respectively – compared to 33% and 35% a year earlier. Another December 2013 CBOS poll found that only 31% trusted Mr Tusk, a slump of 10% over the past year and just 1% higher than the number trusting Jarosław Kaczyński, leader of the right-wing Law and Justice party (PiS), the main opposition grouping. Civic Platform also suffered a series of local by-election defeats and has, since May, trailed Law and Justice by around 5-10% in the polls. With the economy sluggish and unemployment remaining high, Poles have become increasingly gloomy about their future prospects. There has also been a growing sense of government drift with ministers appearing to spend too much of time on crisis management and failing to undertake long-term structural reforms. The Tusk government appeared to revert to the cautious policy of ‘small step’ reform that characterised its first term in office. This approach worked fairly well while the economy was strong but began to come unstuck when the tempo of growth slowed and unemployment increased.